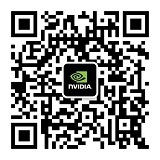 高性能计算GPU解决方案系列教程三--高性能计算集群测试程序 - 公开课 - NVIDIA 官方 Developer 论坛 - Powered by Discuz! 1）HPL-the LinpackTPP benchmark which measures thefloating point rate of execution for solving a linear system of equations. 2）DGEMM -measures the floating point rate ofexecution of double precision real matrix-matrix multiplication. useful test of the total communications capacity of thenetwork. 5）RandomAccess-measures the rate of integer randomupdates of memory (GUPS). based on b_eff(effective bandwidth benchmark).